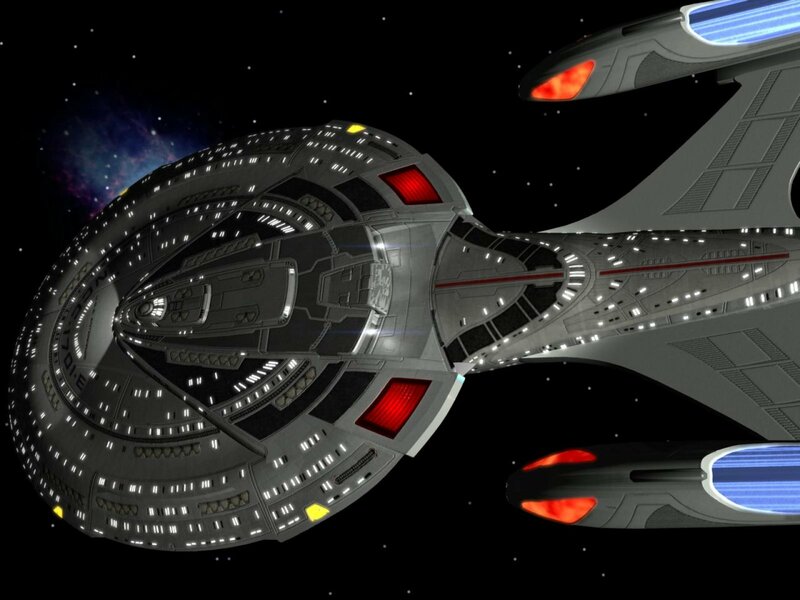 Now, my question: NX-01 didn't have red backlights. Why did they put them on later versions? 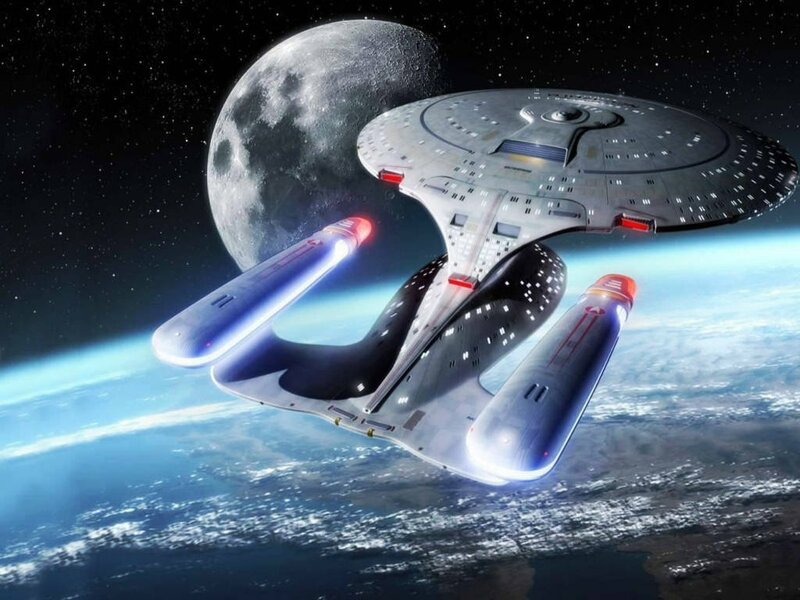 What was the purpose of red backlights on a starship which had nothing to do with traffic standards? On what conditions, they turned off red backlights (as displayed in initial intro of ST:TNG)? They are the impulse engines. The fact that they weren't on the original is an omission, as they are huge plasma vents. It's noted elsewhere that the impulse engines of other ships glow blue. 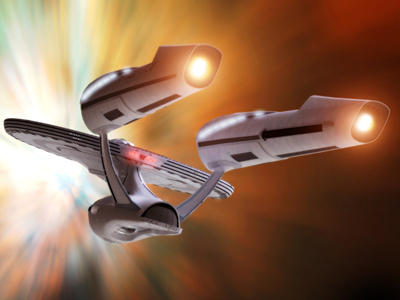 More specifically, the red "lights" on the more advanced ships are the impulse engines. They are the Impulse Engines of the ship. The color of the Impulse Engines are related to the heat generated. In simple terms the blue impulse color means that it is hotter, and the red on the more advanced starships means its cooler. Think of it like stars, cooler stars (Like our sun) have a red color while stars that burn much hotter glow a blueish white color. There's a sciency reason behind the relation of the color of heat. So all the Impulse engines are is a Deuterium-powered fusion reactor, an accelerator generator, a driver coil, and a vectored thrust nozzle to direct the plasma. Now there are many more parts to the Impulse Engines, but those are the basic ones. The Fusion Reactor generates the plasma, the accelerator accelerates the plasmas speed, the driver coil simply helps propel the plasma even more, and the thrust nozzle directs the plasma out to propel the ship. On the NX the plasma vent is blue because it is hotter because it is less advanced technology, and runs hotter. Now, on the more advanced ships it's red because they've developed the technology to get better propulsion with cooler plasma. Benefits of that would be you wouldn't need as hefty of a cooling system, and you'd burn much less fuel (In this case Deuterium, a heavy Isotope of Hydrogen). 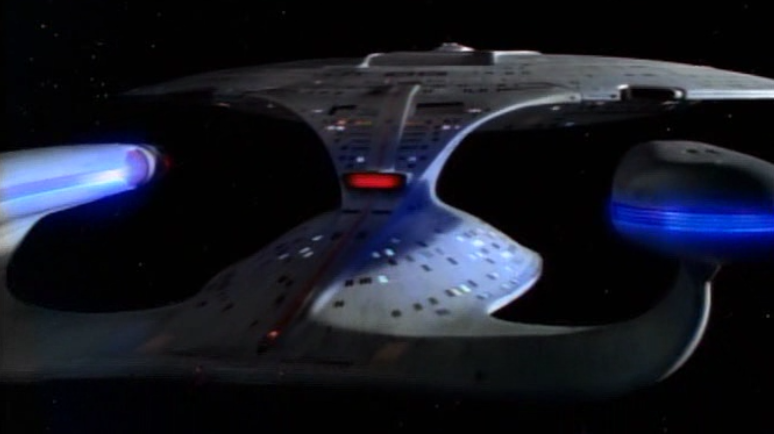 Why did Impulse Engines of Enterprise NX-01 glow blue? What is the purpose of the Red Hour in The Return of the Archons? 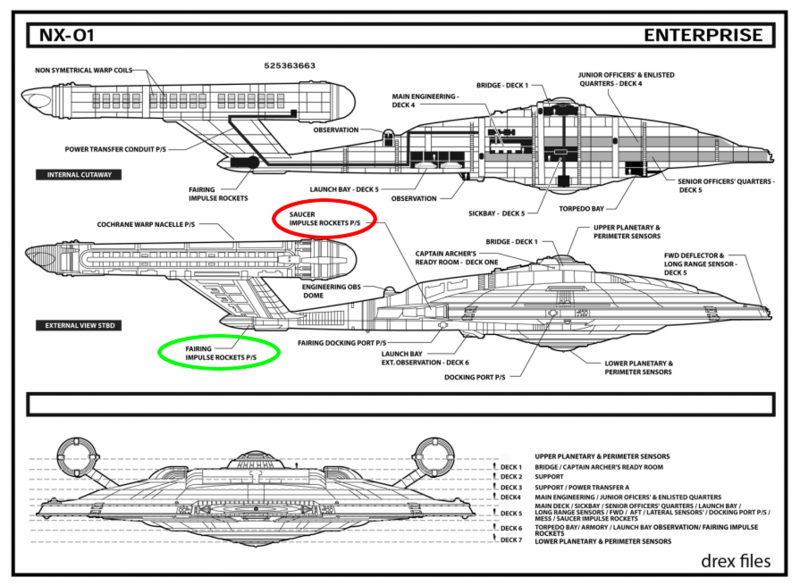 How do the USS Kelvin and USS Enterprise compare? 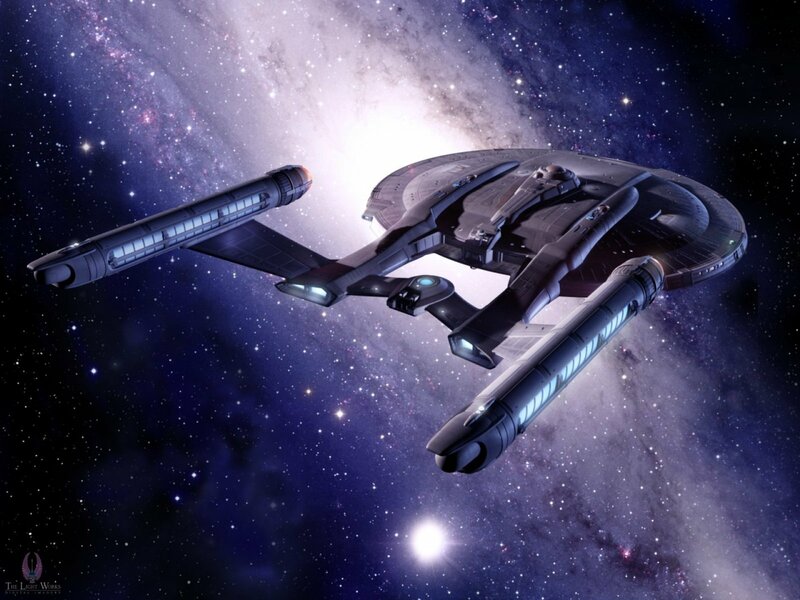 What is the approximate internal volume of the USS Enterprise (TOS, pre-A)?